Adam s an American comedian, radio personality, television host, actor, podcaster, author and director. 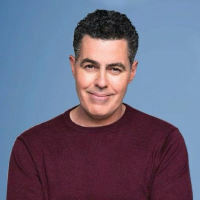 He hosts The Adam Carolla Show, which set the record as the "most downloaded podcast" as judged by Guinness World Records in 2011. He is currently making the film No Safe Spaces.